A picturesque drive through pine and oak forest will take you to this tranquil town nestled in lower Himalayan region in the Nainital district of Uttarakhand. This scenic lakeside destination is a treat for love birds, family and friends. 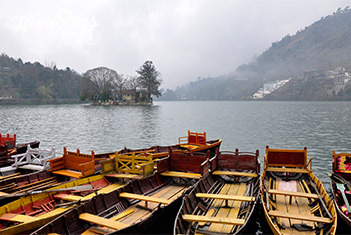 In contrast to Nainital that is always bustling with activities and crowd, Bhimtal is more of a idyllic place which is more peaceful and less touristic. Hadimba Parvat at 5 km has come up as a new destination because of Vankhandi Maharaj, a monk and environmentalist lives on the hill and has created a wildlife sanctuary around Vankhandi Ashram. Kathgodam is the nearest railway station from where it takes a beautiful drive of 20 kms. It can be visited anytime of the year. It is pleasantly cool during summers, lush green and fresh in monsoons and chilly cold in winters. 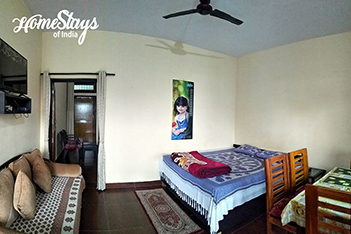 With breathtaking view of Bhimtal lake, salubrious surroundings, clean crisp air and temperate climate this home-stay is an ideal getaway from the city. 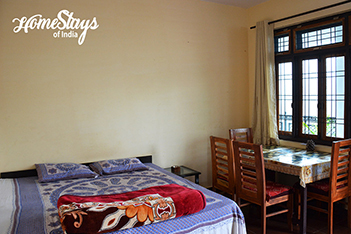 Located on a small hill adjacent to the lake, it has a clear view of the lake from the balcony. 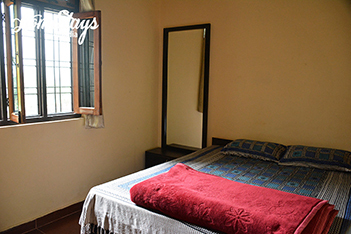 There are 2 family suites with 2 double bedrooms in each, attached western style toilets and a common dining area with kitchen. 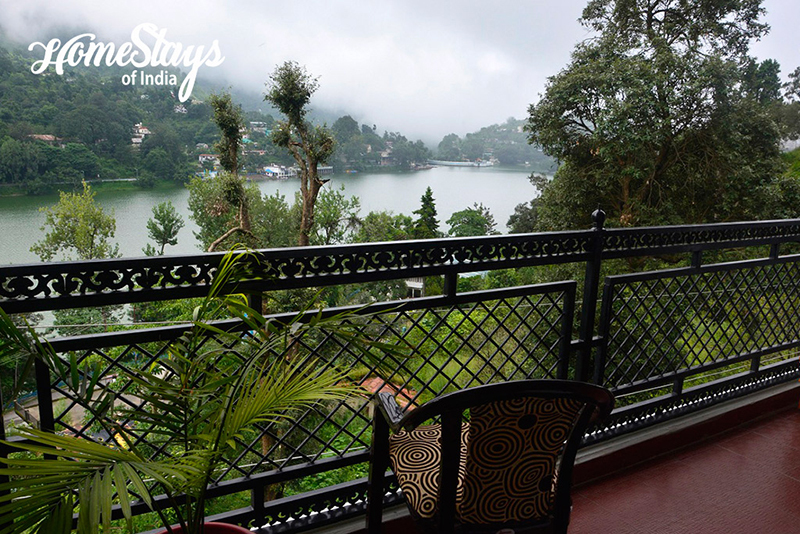 A beautiful sit-out area outside the rooms with an amazing view of the Sattal lake is perfect to spend relaxed time with you family and friends. 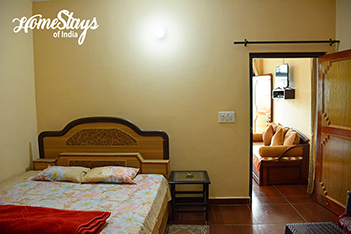 You will be welcomed by a charming local family headed by Prakash Kanojia. He is resident of Bhimtal for ages, so knows the place really well. 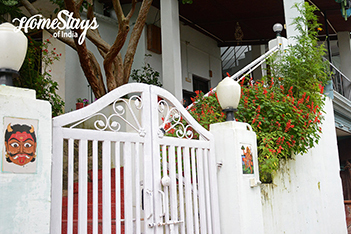 The family lives on the first floor and the second floor is entirely for the guests. Simple home cooked food is served. Local produce sourced from the neighboring farms is used. Breakfast options are eggs, porridge, flakes, bread, jam/ butter, Poha or Parathas. Dinner is usually an Indian vegetarian spread.